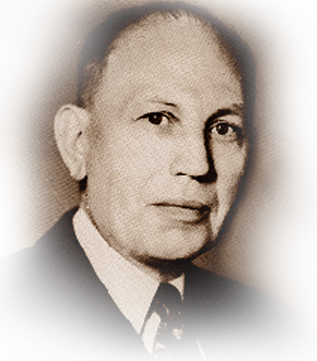 John E. Ostline was educated in Sweden and entered the United States in 1905, working for various telephone companies in Minnesota. He joined Dakota Central Telephone Co. as a wire chief. As assistant chief engineer in 1915, he engineered one of the earliest long-distance dialing systems in the U.S. for use by toll operators. With the Tri-State Telephone Co. in St. Paul, Minnesota, he designed improved arrangements for interconnecting automatic and manual exchanges, the Call Indicator System. In 1922, Ostline joined Automatic Electric as development engineer. He invented the Strowger Automatic Toll Ticketing (SAITT) system, enabling subscribers to dial their own toll calls. Loaned to England from 1923-1929 to develop circuits and equipment for converting its network of 84 manual exchanges to automatic operation, he developed his ideas of automatic toll ticketing and in 1928 received the first patent. He adapted the SATT system to meet the requirements of the Independents in the United States. First installation was made for the Associated Telephone co., now GTE, at Santa Monica with a capacity of only 1000 lines as a test. He installed a full-size commercial SATT system in a local exchange in Los Angeles in 1950, providing completely mechanized billing by punching information into a paper tape from which bills could be mechanically prepared. This system was the basic design that was used by Independent companies for switching to DDD network and enabled the Independents to offer toll service on a comparable basis with the Bell System. He was presented with the Talbot G. Martin Award by fellow employees, and he was issued 100 U.S. patents and 367 foreign patents. His invention of automatic toll ticketing laid the foundation for today’s Direct Distance Dialing (DDD). He died in 1959.